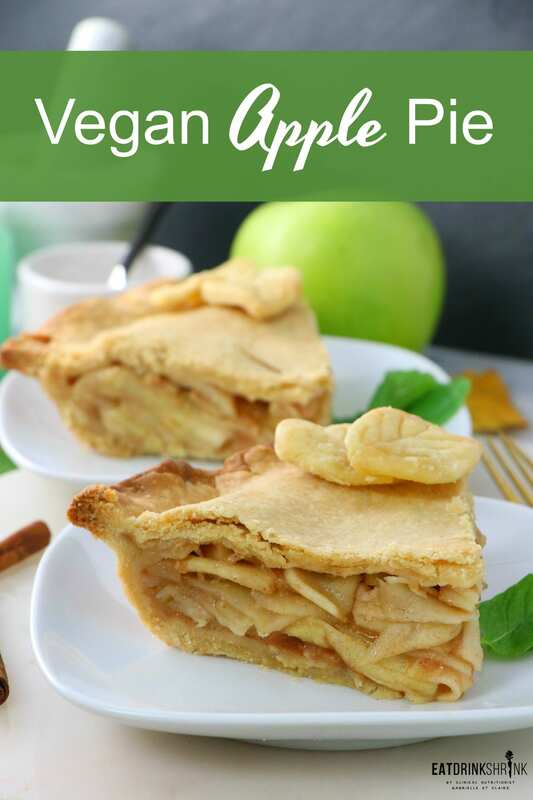 Homemade Vegan Apple Pie - Eat. Drink. Shrink. 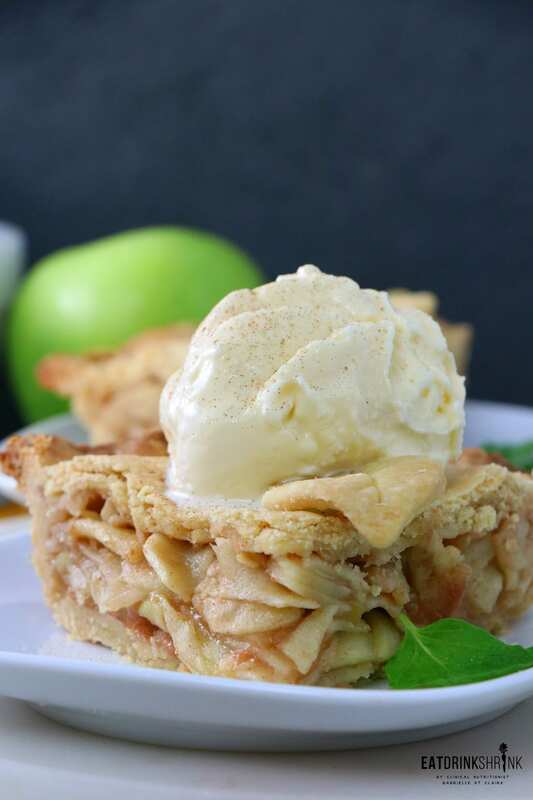 If there is one dessert I’m forever enamored with, it’s Apple Pie. It’s nostalgic, packed with apples and the majority of the sugar can be derived from the fruit which is always my preference. 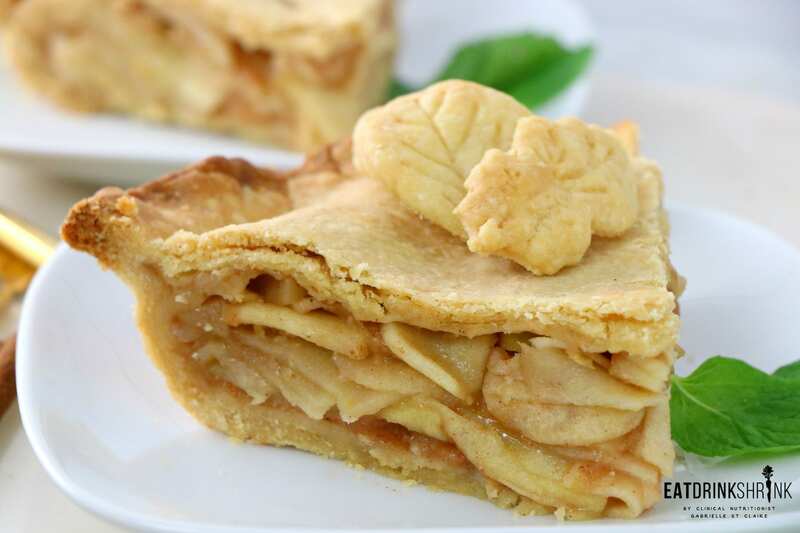 I think a homemade apple pie was one of the first concepts I tried ages ago while entertaining guests. I of course tried to go all out with a whole wheat crust and it was just was way too rustic, dry, and the list goes on lol. Sometimes when creating staple items, you have to go with ingredients that work, and whole wheat flour is just too dense for the majority of recipes. 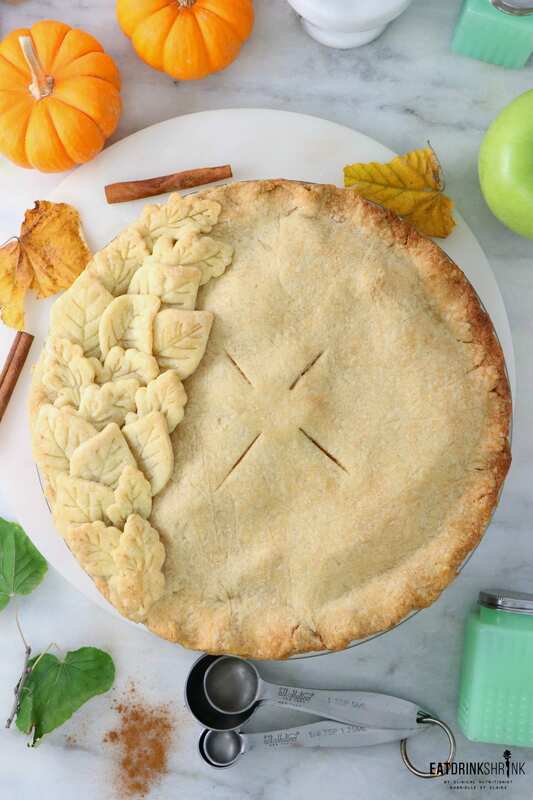 Although from a distance making a homemade pie sounds long and drawn out, it’s actually super easy! You don’t have to have a black belt in decorating pies, because I sure don’t lol. You simply throw a few ingredients together, form a dough, chill for a quick minute, roll it out, pack with apples, cover and bake! What’s fab about this recipe, is everything! 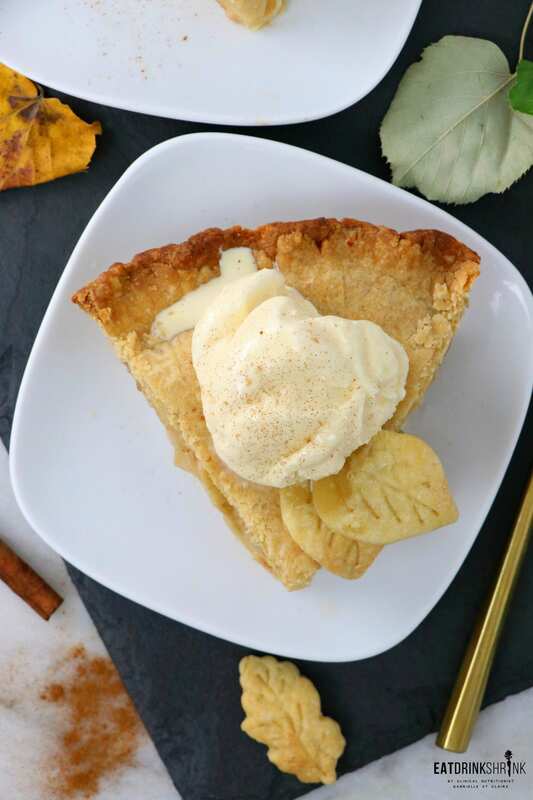 It’s a handful of staple kitchen ingredients, packed with apples, contains less sugar than most recipes, can easily be made in bulk, the pie crust can be chilled and saved for later use or other recipes, perf for fall, and is just a game changing recipe! 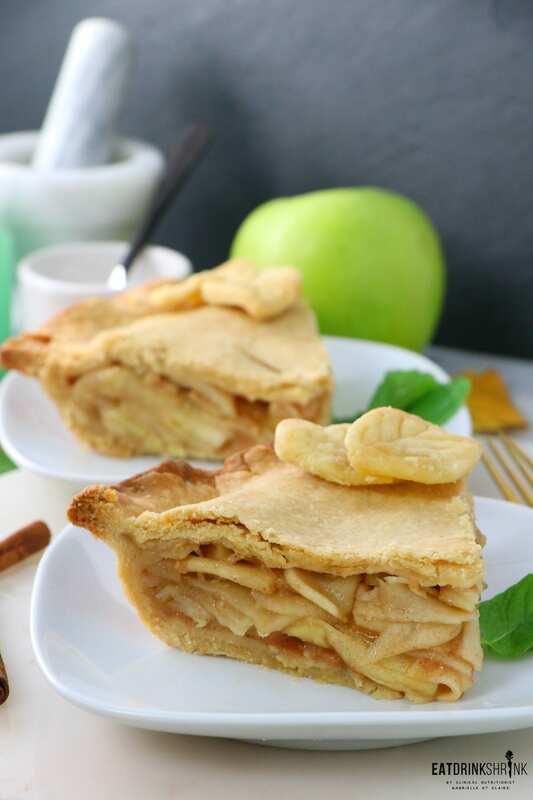 If you love staple fall concepts, you have to try this recipe for a classic vegan Apple Pie! Crust: Combine the flour, salt, cinnamon, and coconut sugar in the bow, whisk and combine. Add the vegan butter and combine with your hands until mixture is crumbly and will stick together when you squeeze it. Add the water 1 tbsp at a time, or until the dough holds together well when you make a handful of it and form a disc. Chill in the fridge for 20 minutes. Apples: In a small bowl, combine the coconut sugar, flour and spices; set aside. In a large bowl, toss sliced/peeled apples with lemon juice and vanilla. Add sugar/flour/spice mixture; toss to coat. 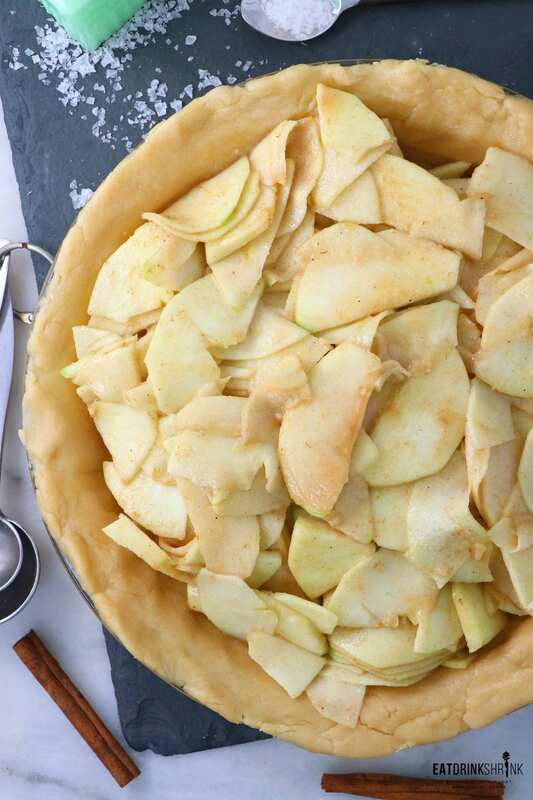 Remove the dough from the freezer and roll out the pie crust between was or parchment paper. It allows for easier removal. Simply peel of the bottom layer last and flip over with your hands and press into a lined a 9-in. pie plate. Press the dough into dish, trim the edges with scissors leaving a lil excess. Fill with apple mixture; dot with vegan butter. Roll out remaining pastry to fit top of pie. Place over filling. Trim, seal and crimp the edges with your fingers. Cut slits in pastry. Melt vegan butter; brush over pastry. 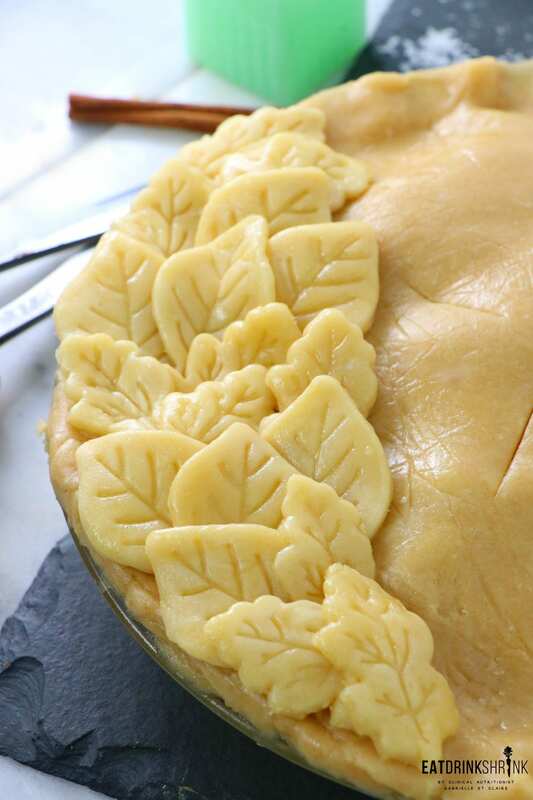 If you'd like to create the leaves I combined 1 cup flour with 1/2 cup butter and simply used cookie cutters. 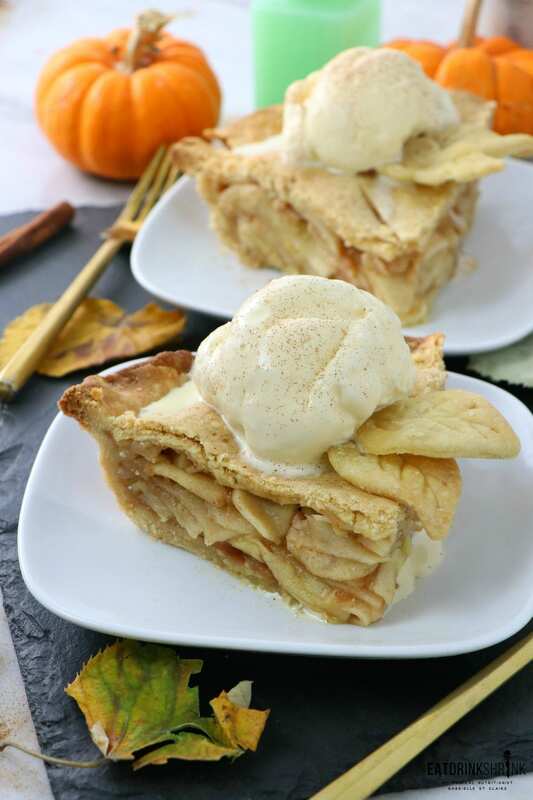 Layer on ones side of the pie, overlapping the pieces. Bake at 375° for 25 minutes. If the edges start to brown too much simply remove and cover with tin foil. Bake until crust is golden brown. Cool on a wire rack.